Prevents mould, fungus, discolouration, and bad odours when used in areas of high humidity. Contains a powerful dual action fungicide and biocide. Does not contain or release acids. Can be used safely in kitchen areas where food is prepared. 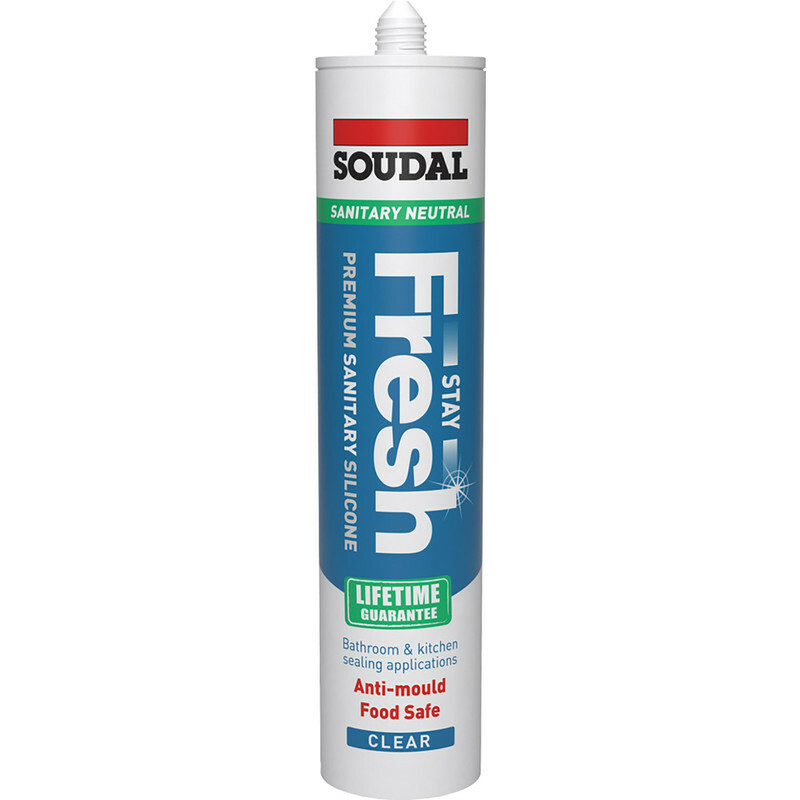 Soudal Stay Fresh Sanitary Silicone Sealant 300ml Clear is rated 5.0 out of 5 by 2. Rated 5 out of 5 by Michael1979 from Excellent! Perfect stuff! Very easy to use; smooth finish.